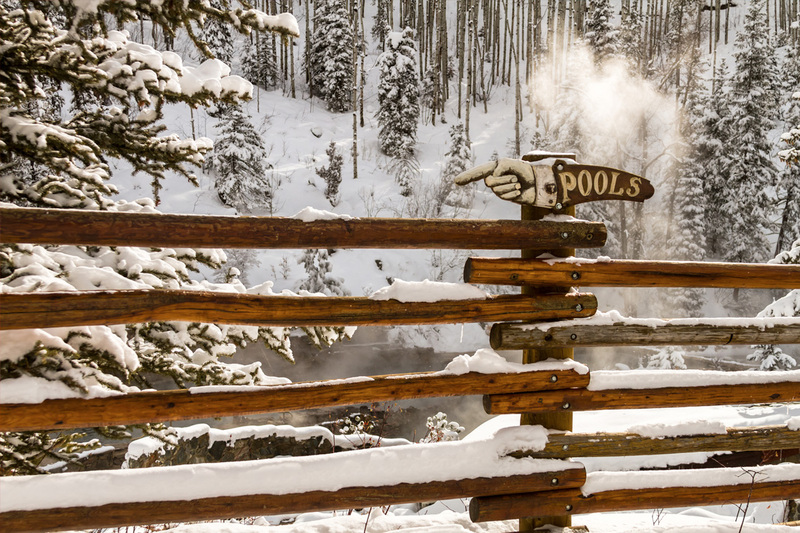 Steamboat Springs, Colorado, is said to have over 150 mineral spring-fed pools and hot springs that are the biggest tourist attraction. You can take an easy self-guided tour of about one mile within walking distance of downtown to view five or seven of them. Each one is different with its own unique naturally-occurring mineral content water.. In the fault line that runs through the area, especially near the Yampa River, ground water settles into the igneous chamber area, heats up rapidly, and is forced upward to the surface. The fault line was generated a million years ago when the upward thrust of the earth formed the mountains. The thermal waters that originate in these faults are at depths of 12,000 to 15,000 feet, and the mineral content is derived from the path that the waters take through the rock formations. When you take such a tour, there is an intriguing allure as you realize you are walking in the very footsteps of the Yampatika Arapaho and Northern Ute tribes who spent their summers in the area and treated the “medicine” springs as sacred ground that performed physical and spiritual healing and rejuvenated their strength after battles. While in Steamboat Springs, you can stay in a choice of luxury mountain rentals that include “on mountain” ski lodging, a downtown condo, a private home rental, or a townhome with ski-in, ski-out access. From there you can enjoy exploring a fantastic scenic area with a multitude of things to see and do. Luxury mountain rentals present a dream vacation for those who want the finest lodging along with outstanding amenities. Steamboat Lodging would be happy to discuss your desires with you and lead you to the “best of the best”.